You'll be £4.99 closer to your next £10.00 credit when you purchase Albuera 1811. What's this? On 16 May 1811, the small town of Albuera was the setting for one of the Peninsular War's most bloody and desperate battles. A combined Spanish, British and Portuguese force of more than 30,000 men, under the command of Lord Beresford, stubbornly blocked the march of the French field marshal Soult, who was trying to reach the fortress of Badajoz, 12 miles north. Beresford, who defended himself with his bare hands against a Polish lancer, was victorious, but at the cost of 6,000 Allied deaths and 7,000 French in just four hours. The battle is best known for the Fusilier Brigade's charge, made famous by Sir William Napier's melodramatic description, and because of the tenacity of the 57th Foot that earned them the 'Die Hards' nickname. The battle has not been seriously studied since Sir Charles Oman and Sir John Fortescue's histories early in the 20th century - accounts which are incomplete and sometimes simply incorrect. This compelling new book fills this gap by using authentic primary sources to tell the story of the battle as completely as possible and dispels long-standing myths. The book also brings to life the human dimension of the story by using first-person recollections to describe experiences on and off the battlefield. The battle's drama is intensified by the circumstances of the fighting, which led to extremes of behaviour ranging from incomprehensible valour to rank cowardice. The book balances the traditional Anglocentric bias by paying equal attention to Spanish, Portuguese, French, Polish and German soldiers who fought there. A truly great study of one of the most interesting and hard-fought battles of the Peninsular War. I have just finished reading one of the best accounts of a Peninsular War battle that I have read for some time. The book in question was; Albuera 1811: The Bloodiest Battle of the Peninsular War by Guy C. Dempsey. The battle of Albuera is known to Napoleonic historians and enthusiasts as one of the Peninsular War's bloodiest clashes and has provided history with such dramatic accounts of the British 57th Foot, forever after known as the “Die Hards”, and Napoleon’s Polish Lancers. The book is easy to read and well told, without any national bias cluttering up the story. The narrative is supported with copious notes, showing the depth of research. Mr Dempsey offers reasoned analysis not only on the tactics, manoeuvres and the leadership of the commanders but also on the sources used in his study. The book covers not only the strategic situation in Spain leading to this battle, the movements to the village of Albuera, the subsequent battle but also what happened after the fighting ended; the casualties (wounded and dead), the prisoners and the years of controversy and debate on certain aspects of this battle and its outcome. A soldier’s musket, if not exceedingly ill-bored, and very crooked, as many are, will strike the figure of a man at 80 yards; it may even at a hundred, but a soldier must be very unfortunate indeed who shall be wounded by a common musket at 150 yards, PROVIDED HIS ANTAGONIST AIMS AT HIM; and as to firing at a man 200 yards [off] with a common musket, you may as well fire at the moon and have the same hopes of hitting your object. I do maintain, and will prove, whenever called on, that NO MAN WAS EVER KILLED AT TWO HUNDRED YARDS by a common soldier’s musket, BY THE PERSON WHO AIMED AT HIM." “One pair of wretches I particularly remember, an Irishman and a Frenchman, who travelled in the same car, both of whom had lost their legs – not partially, but entirely – and who yet ceased not to abuse and revile one another from morning to night. It was melancholy to hear them railing, in their respective tongues, and threatening one another." There are a number of decent maps to follow the relevant actions and a large number of appendices providing information on a range of subjects of interest. This book has inspired me to start reading the full set of Sir Charles Oman’s history of the Peninsular War. If anyone is looking for a great battle narrative then I don’t think you will go too far wrong with this book. And the abortive siege of Badajoz afterwords (the follow up). One of the most detailed accounts of battalion/regimental level fighting I have read in the Napoleonic era. what happened in each gory phase of this sanguine encounter. A superb outline of the course of a major battle of the Napoleonic wars which neatly brings some of the tactical complexity. It is well researched and goes into much detail. It gives sufficient context to understand how the battle came to take place - although perhaps a little more either side could have been provided. It is also written with a strongly British narrative - not in a biased sense, but simply that most of the individual and regimental stories told are British. The appendices are truly invaluable for anyone researching the battle with detailed orders of battle, casualty, and uniform details. Overall an excellent book. The battle of Albuera was the most costly battle of the entire Peninsula War, and the subject of endless controversy at the time and since. This book looks at the wider campaign, the battle itself, the fate of the dead and wounded and that controversy.The account of the battle manages to be both detailed and easy to follow, quite a rare achievement. One of the most impressive features of this book is the amount of detail on the fate of the wounded and dead of the battle. Many accounts of battles mention casualty figures without going into any more detail, but here we see the surgeons at work for the lucky or the lingering fate of the unlucky. Dempsey also looks at the fate of the dead and their dependents, again not a pretty picture. This is a very high quality account of an infamous Napoleonic battle, and of great value to both the Napoleonic enthusiast and the general reader. This is a fine example of how military-history books should be written. Guy Dempsey has produced a factual, balanced account of Albuera that is written in engaging and interesting prose. Guy C Dempsey's meticulous research has resulted in an excellent and very readable study into campaign and battle. I bought this book because I lacked a detailed level of understanding of this theatre of operations (in Spanish Extremadura), in general, and this battle in particular. I have not been disappointed. As a single volume work, covering a specific campaign and battle it is, without doubt, one of the best published in a long time. It is not an introductory text by any means: but the language used in the work, and the level of detail provided, will meet the needs of both the specialist historian and history 'buff' alike - for a long time to come. of a trend in military history to reclaim, or reintroduce traditional military historyâ€”maligned by many, including revisionist military historians for too long- by not concluding the history with ground taken and glory attained, but by providing a human face in the sense of a comprehensive examination of the battlefield, before, during and after the even, carnage and all. 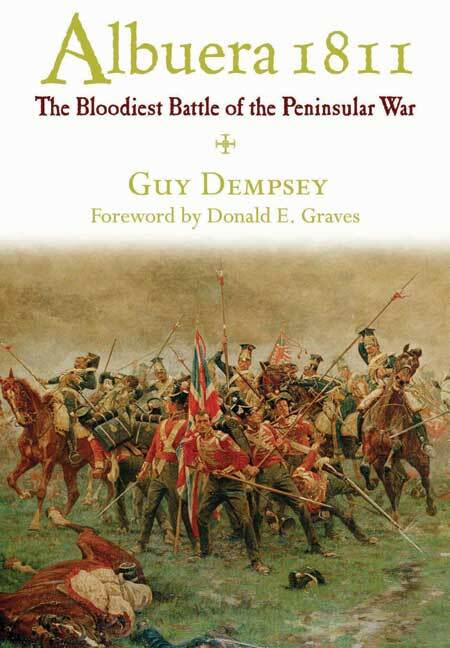 Guy Dempsey's account provides what surely must rank as the definitive history of British involvement in the Battle of Albuera. His opening four chapters succinctly relate the events preceding the battle and outline the battle's context. The next five, the core of the book, are devoted to a detailed account of the battle, followed by six chapters that consider its aftermath. For sheer detail and the use of accounts from all participants, this book cannot be surpassed. Guy Dempsey has written a fine study of this battle, which would be difficult to improve upon. Any library on the Peninsular War should have Albuera 1811 on its shelves. Excellent book! Having walked the battlefield back in 1988, I wish I was able to have this book with me, as it would have enhanced my trip. Tells the stories of Commanding Generals to the lowest Private very well. Statistical information and informative stories at the end are what I would call "frosting on the cake". If you want a great book on the Napoleonic Wars, this is it. This is one of the finest tactical analysis of a battle I have ever read for any war or period in history. The author is able to impart an amazing amount of knowlege without ever bogging down in minutia. The reader feels as if they were truely there. I hgihly recommend this book, one of the best I have read in a long time. This is one of the finest tactical analysis of a battle I have ever read for any war or period in history. The author is able to impart an amazing amount of knowlege without ever bogging down in minutia. The reader feels as if they were truely there. I highly recommend this book, one of the best I have read in a long time. followed by six chapters that consider its aftermath. 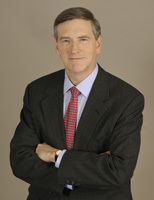 Guy Dempsey is a banking lawyer by profession, but his avocation is the use of primary sources for the study of Napoleonic military history. Albuera 1811 is his fourth book and is the product of over two decades of research spanning numerous countries. He has also written numerous articles on First Empire topics. As the subjects of his previous Napoleonic books suggest, Guy prefers to explore less familiar First Empire territory. Guy has an abiding interest in the military uniforms of the period and considers his ultimate goal to be the compilation of a definitive list of first-hand sources for research in that area. Guy lives near New York City with his wife and three daughters.